Gary Gannon was elected in 2014 to represent the people of Dublin's North Inner City at City Council. As an elected representative of Dublin City Council, he is a member of Economic & Enterprise Development, Housing and Arts & Culture SPC’s. 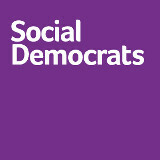 "The Social Democrats would not increase any income taxes - either through rate changes or band changes." "It is costing just as much to collect water charges as is actually collected. Water charges are not raising any extra money to fix leaks. This doesn't make sense. We would end water charges." "It is entirely up to each individual whether or not to boycott water charges"
"We want to repeal the 8th amendment. We support holding a referendum asap but at the latest within 18 months of the Election. Within that period, we favour holding a people’s convention, passing legislation based on its recommendations, and holding a referendum to repeal the 8th." "We also support the introduction of a Living Wage." "We should build towards a single tier health service that is free at the point of use. This can be done over 10 years, starting with a major investment in staff and facilities at community level. We don't need to increase taxes to achieve this." "There is sufficient fiscal space to provide significant investment in childcare without impacting on other areas of expenditure." "We want to repeal Section 7 (3) (c) of the Equal Satus Act which allows discrimination based on religion." "The Social Democrats are developing policy in this area." "Any expansion of onshore windfarms can only be considered if the Aarhaus convention is fully respected, sufficient setback distances are met, residential amenity is protected,and a comprehensive cost benefit analysis has been conducted. In general terms, we support off-shore windfarms"
"The party system is far too rigid. We do need party cohesion but there should be room for different views. TDs should be allowed a degree of independence akin to how votes operate in Westminster. We are proposing significant changes to how politics works so that TDs are less beholden to whips." "There would have to be a robust system of authentication. We would also favour a sunset clause to ensure that the new mechanism is not abused. If found to be working well, we would keep it." "There are inconsistencies in some sentencing which should be addressed."